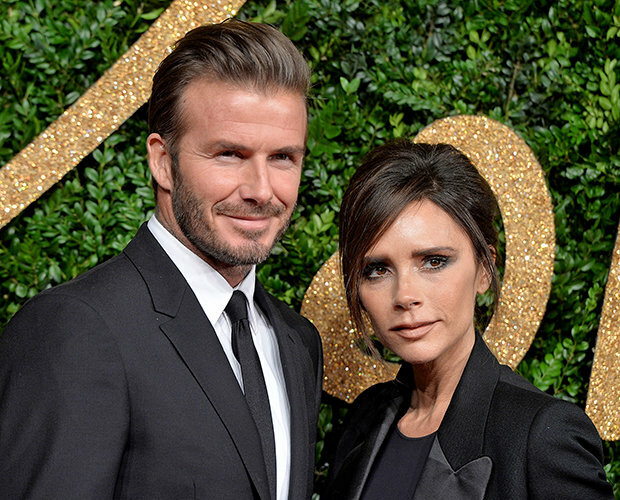 He’s been hit with a barrage of rumours surrounding his marriage to wife Victoria Beckham in recent weeks. But football legend David appeared to put the controversy behind him on Wednesday night as he took to social media to share a sweet snap of himself alongside his fashionista wife. 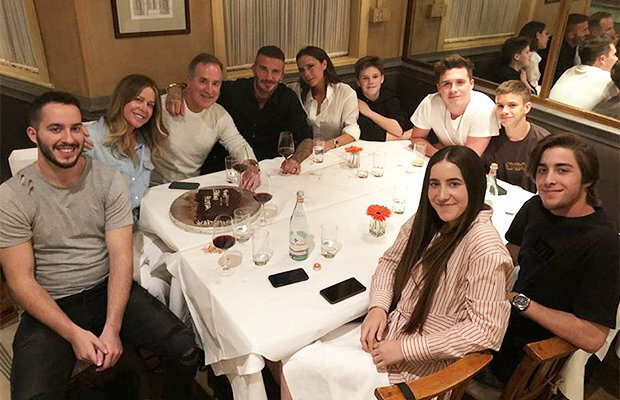 The 43-year-old took to his official Instagram to shut down naysayers with an adorable photo of himself seated next to the former Spice Girl singer as they enjoyed dinner with the rest of their family. 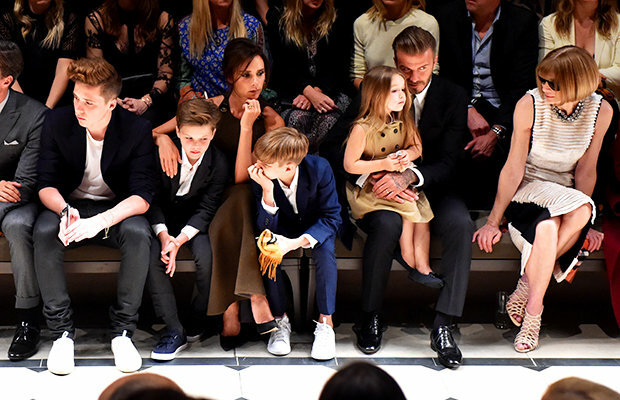 In the happy snap, David can be seen cosying up to his wife of 19-years as they are surrounded by family members which include sons Brooklyn, 19, Cruz, 13, and Romeo, 15. Noticeably absent from the occasion was the pair’s daughter Harper, although fans were quick to question whether the photograph was down to her being behind the camera. 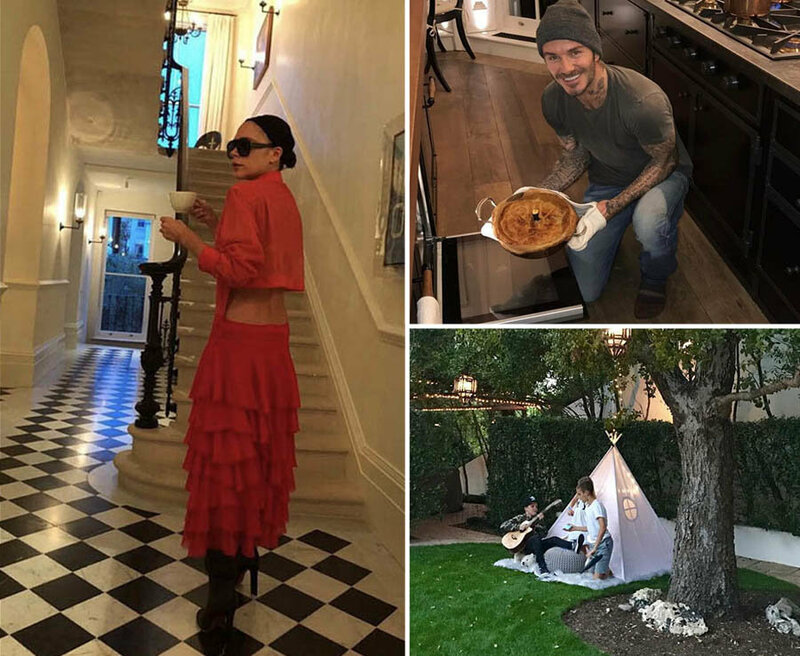 The Beckham family expose inside their London Luxury Holland Park mansion via Instagram. And fans of the sportsman-turned-model were quick to inundate him with comments over the adorable pic. 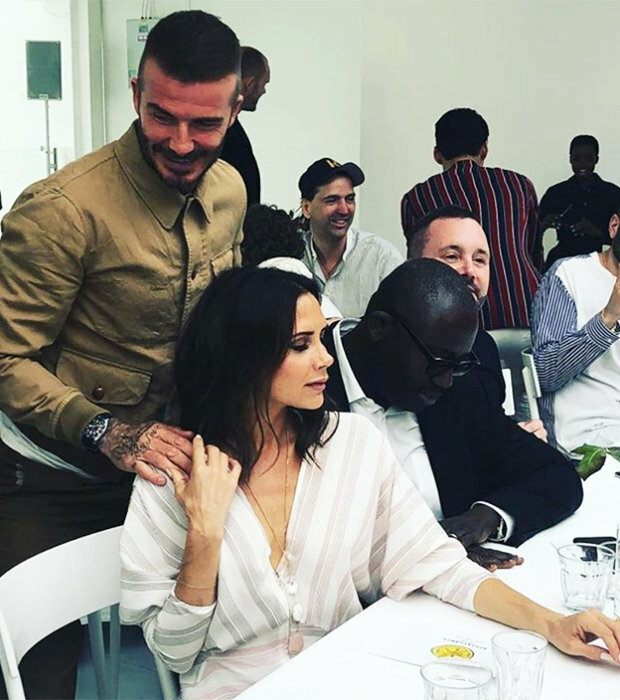 Unicef ambassador David and his singer turned fashion designer wife Victoria recently found themselves at the centre of a social media frenzy after fans began speculating that they were headed for divorce. The scandal even saw betting company Paddy Power suspending bets on the pair getting divorced. Although neither have addressed the rumours, a spokesperson for Victoria shut down the claims. A PR worker for The Communications Store, is thought to have initially spread the false rumour. She has since been suspended and is under investigation. The PR company, has released a statement declaring that the rumour did not originate from them or the employee.